Longer, thicker and more dramatic! We all love to WOW a crowd when we walk into a room. Even the quietest, most easy going girl in the group likes to know she has something fabulous in her bag of tricks. Eyelash Extensions are so glamorous and so beautiful for that girl, we all know one, who has time for every beauty ritual there is. She can get her roots, brows, lashes and teeth whitened in one sitting. Then there is something for the rest of us. A nightly intensive conditioning treatment. We’ve all tried it in the spa and are fascinated with the dramatic results. Enhance the appearance of full, lush and long lashes, with StimuLashFusion. Naturally shiny and no fills needed. This fantastic find is packed full of Vitamins, peptides and natural extracts for conditioning and nourishing benefits that last. Sold out of other high end retailers, Studio Makeup at Adamo Day Spa, has StimuLashFusion Intensive Night Conditioning Lash Enhancer serum in stock now. Used nightly you can have gorgeous lashes in six short weeks! Just in time for summer parties! 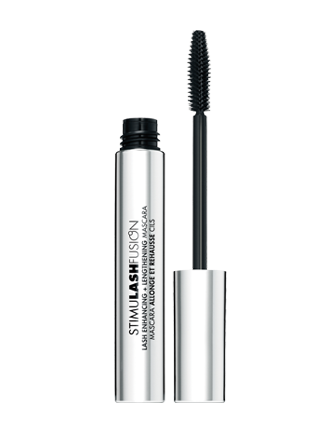 StimuLashFusion is an intensive night conditioning lash enhancer to boost length, build fullness, and encourage maximum lash thickness. After 6 weeks of regular use, 89% of trial participants reported that eyelashes appeared longer and fuller. StimuLashFusion also conditions eyelashes with Peptides and Amino Acids and protects them with Vitamin E.
Enhances the appearance of eyelash length and fullness. Conditions eyelashes with key ingredients. Formulated without parabens or artificial fragrances. Can also be used on eyebrows. BIO-Peptides & Amino Acids help to repair and strengthen fragile eyelashes and eyebrows. Sodium Hyaluronate promotes hydration and helps eyelashes and eyebrows appear shiny and strong. Methylamido Dihydro Noralfoprostal promotes healthy, working hair follicles so that they can reach their full growth potential resulting in eyelashes that appear longer and fuller. Panthenol helps eyelashes and eyebrows last longer by making them more flexible. Vitamin E, a natural antioxidant, protects hair and follicles from environmental damage. Vitamin A establishes normal cell function of the sensitive skin around the eye. Vitamin C, a strong natural antioxidant, rejuvenates and protects the skin around the eye. Introducing the newest lash enhancement technology for naturally beautiful, plentiful eyelashes! This lash fortifying mascara is infused with a clinically proven lash enhancing peptide called SymPeptide™ that improves the appearance of your lashes in as little as 4 to 6 weeks. 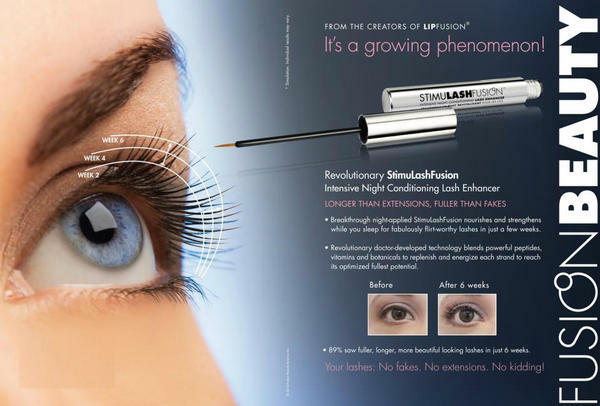 Use with StimuLashFusion Intensive Night Conditioning Lash Enhancer for even greater results. Does not contain Prostaglandin.